A panel of blood markers that identifies tumors with more active blood vessels may help stratify multiple myeloma patients according to their risk, a study found. It may also identify patients more likely to benefit from inhibitors of blood vessel growth. The study, “Prognostic or predictive value of circulating cytokines and angiogenic factors for initial treatment of multiple myeloma in the GIMEMA MM0305 randomized controlled trial,” was published in Journal of Hematology & Oncology. A number of treatments are now available for patients with multiple myeloma, which has led to better patient outcomes in recent years. Yet determining which patients are more likely to respond to therapy remains imprecise; available monitoring tools, such as imaging, do not always accurately predict treatment outcomes. A group of molecules that helps form new blood vessels — a process called angiogenesis — is known to be involved in the growth and activity of multiple myeloma. So researchers asked whether analyzing the levels of some of these molecules might help predict clinical outcomes for multiple myeloma patients. 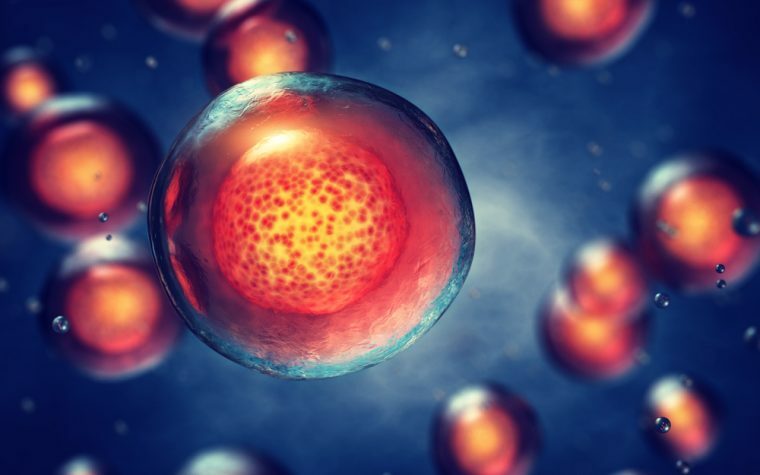 The specific molecules the researchers analyzed were angiopoietin-2 (ANG-2), fibroblast growth factor-2 (FGF-2), hepatocyte growth factor (HGF), interleukin-8 (IL-8), platelet-derived growth factor-B (PDGF-B), tissue inhibitor of matrix metalloproteinase-1 and -2 (TIMP-1, TIMP-2), tumor necrosis factor-alpha (TNF-α), and vascular endothelial growth factor (VEGF). All of these are involved in angiogenesis. The researchers used data from a recent clinical trial, called GIMEMA MM0305 (NCT01063179). in which levels of these markers in the bone marrow and blood had been analyzed at diagnosis in 124 multiple myeloma patients. The study also included 54 healthy controls. 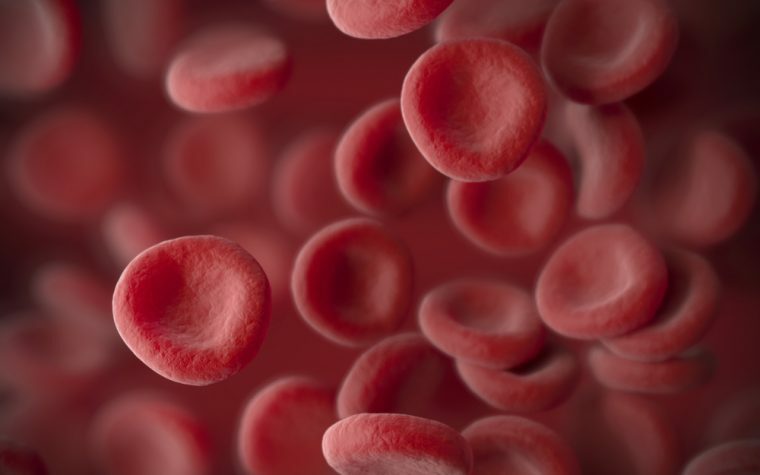 The researchers found that blood and bone marrow levels of these markers were the same, meaning that testing with this panel could be done through less invasive blood tests. The levels of all of the studied markers were higher in multiple myeloma patients than in healthy controls. Furthermore, all of the markers except for TIMP-1 and TIMP-2 were predictive of response to treatment, with lower levels accompanied by better responses. Low levels of FGF-2 and VEGF were found to be associated with longer progression-free timespans and overall survival, regardless of the treatment patients had received. Using these markers, the researchers developed a risk stratification system: patients with elevated FGF-2 and VEGF were considered at high risk; patients with high levels of only one factor were considered at intermediate risk; and those with low levels of both markers were at low risk. While the median survival for those at low risk was 70 months, patients at intermediate and high risk lived for a median of 62 and 34 months, respectively. Similarly, low-risk patients remained without disease progression for a median of 44 months, compared to 23.5 months for intermediate risk, and 14.5 months for high-risk patients. Together, these markers were better at predicting prognosis than current predictive systems such as the International Staging System in the studied patients, showing the predictive power of this test. The researchers hope that this system might allow patients at high risk to receive more appropriate care, noting that they “might have a more aggressive disease course but are likely to derive relative benefit from inhibition of angiogenic pathways.” They further suggest that medications targeting blood vessel stability and growth or certain aspects of the tumor environment might be particularly beneficial for this group of patients. Tagged angiogenesis, blood vessel growth, FGF-2, prognosis, VEGF.